Dr. Shapiro is pioneering a new “FUE/Strip/AFR™ combo” method of hair transplantation to mitigate problems associated with Follicular Unit Extraction (FUE). The problems with FUEs are that this method of harvesting hair follicles can cause scarring and also damage surrounding hair follicles. It takes a highly skilled hair transplant surgeon with excellent equipment to minimize these problems. Dr. Shapiro believes he may have discovered ways to mitigate the problems associated with FUEs. In his practice, he has favored the “strip incision” for many decades. Strip incision involves cutting a small strip of “donor hair” follicles and carefully sewing the incision to minimize scarring. Combining FUEs with the strip incision gives patients the best of both worlds: minimal scaring and healthy-looking transplanted hair. Dr. Shapiro is utilizing an advanced magnification system, the latest FUE methods and his Accelerated Follicular Restoration™ (AFR™). Not everyone needs FUEs. Dr. Shapiro uses the strip incision exclusively. However, some patients have limited donor tissue or poor elasticity of the scalp. Also, a few patients decide they do not want a linear incision. These patients can benefit from Dr. Shapiro’s combination FUE/Strip/AFR™ method. FUE cannot be done properly with the naked eye. 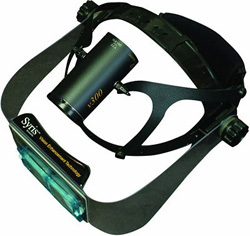 The Syris Scientific v300 magnifiers (“loops” worn on the doctor’s head – see image above) have an innovative, patented cross polarized technology, so the doctor can see approximately 1 millimeter below the surface of the skin. These magnifiers operate hands-free and shine a light on the surgical area for better vision. Dr. Shapiro uses the ERTIP motorized FUE system for extracting hair follicles. This machine is the most advanced sharp point extraction system in the world. It allows for precise incisions with minimal transections (crossway cuts). Damage to the surrounding hair follicles is minimized, which helps prevent scarring. In the future, if more “sittings” (hair transplants) are desired, there will still be plenty of undamaged hair follicles to harvest. During the hair transplant surgery, the “donor” area of the scalp is numbed using a local anesthetic. Dr. Shapiro makes a small strip incision from the donor area, and removes additional hair follicles using the FUE method. The hair follicles are separated, graded and inserted into the balding and thinning areas of the scalp using tiny incisions. Most new, inexperienced doctors are using the FUE method alone, since they are not experts with the strip technique. Dr Shapiro is a highly experienced hair transplant surgeon, so he uses several methods to achieve the best results. After the surgery, the final part of Dr. Shaprio’s FUE/Strip/AFR™ combo method comes in. Patients are asked to take Help Hair® Shake twice per day. Help Hair® Shake contains whey protein concentrate and other ingredients specifically chosen for their hair-enhancing properties. For more information, contact Dr. Shapiro. 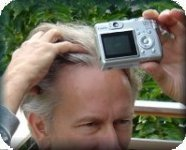 This entry was posted in Baldness, Hair Loss, Hair Transplant, Hair Transplants on June 7, 2011 by Larry Shapiro.